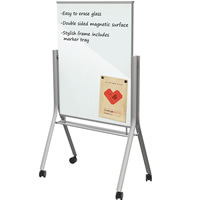 Constructed for strength and durability, Ghent's reversible boards are a versatile, mobile communication tool. 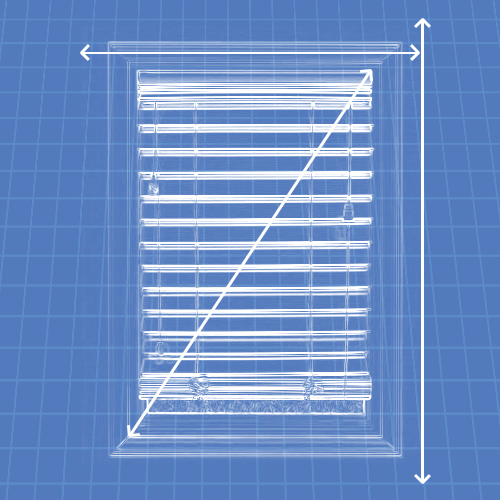 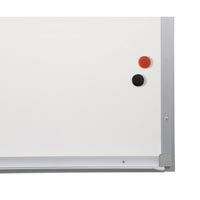 The reversing mechanism is specifically designed to make flipping to the other side a snap. 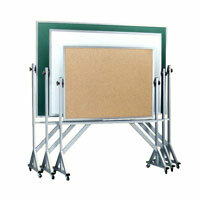 Strong steel lock clamps adjust to secure the board to the preferred position. 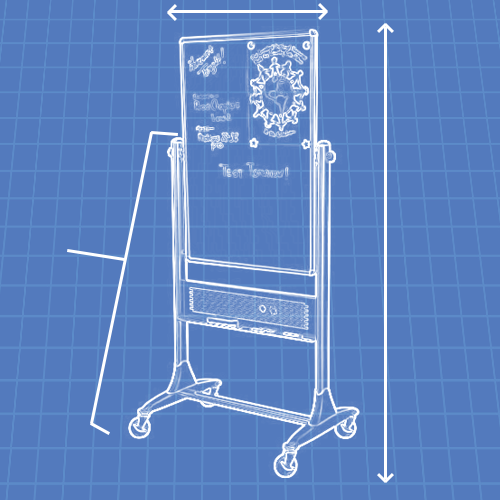 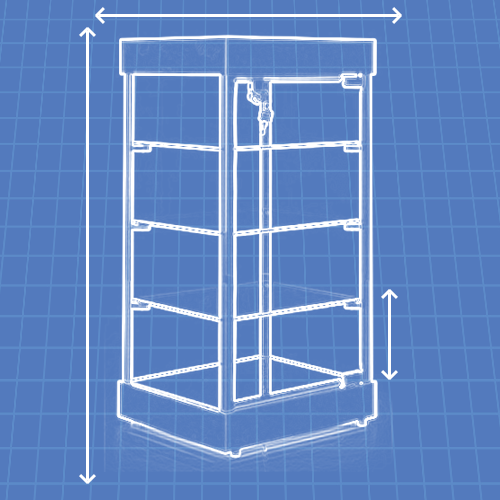 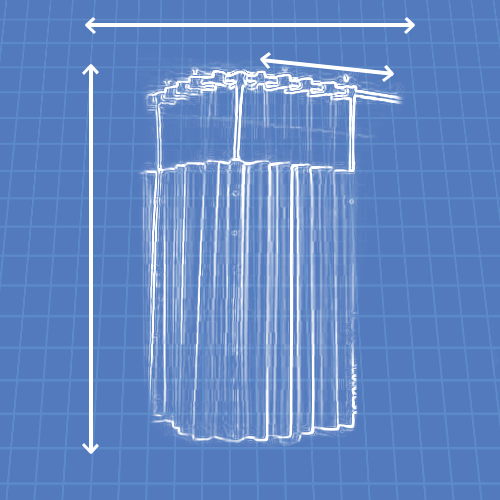 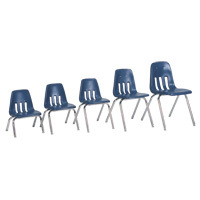 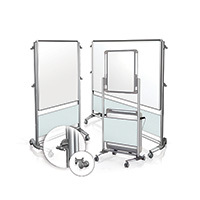 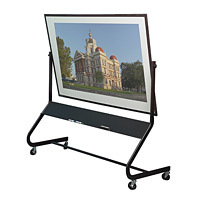 Each of these portable units feature a full-length accessory tray for convenience and reinforced bracing for reduced swaying. 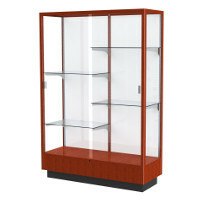 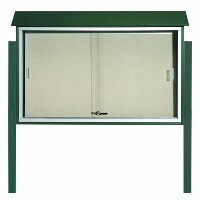 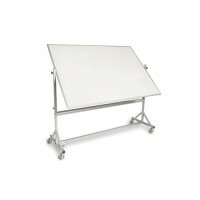 Casters are standard on this aluminum framed unit and feature locking foot brakes. 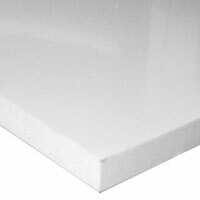 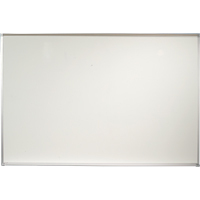 This board is Made in the U.S.A., is TAA compliant, and has a 10 year warranty. 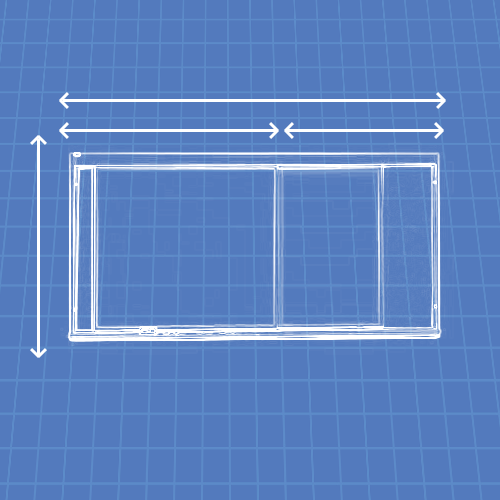 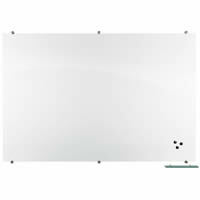 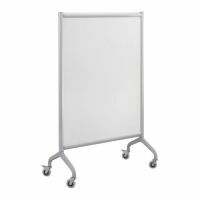 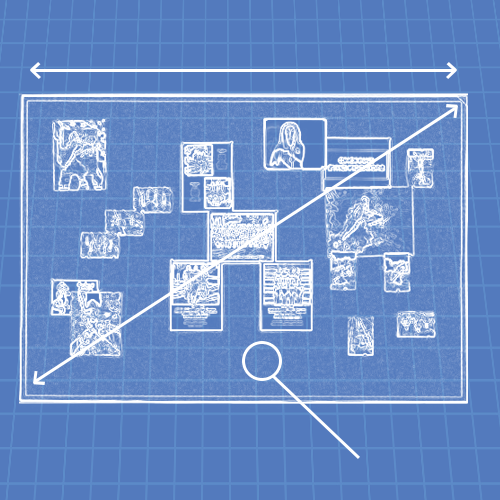 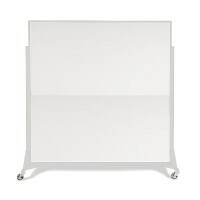 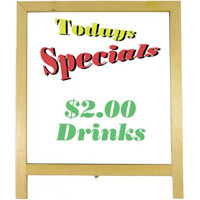 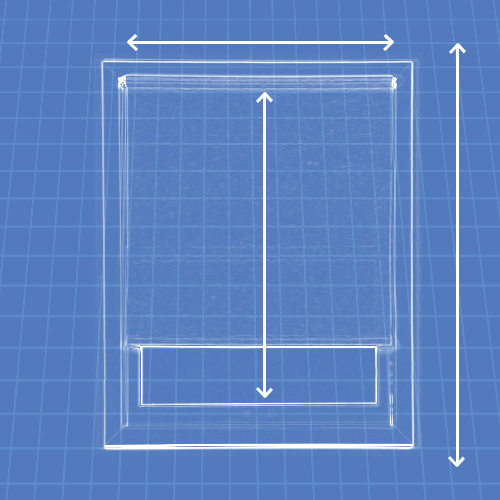 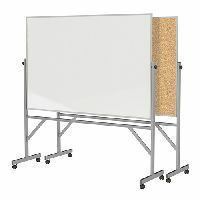 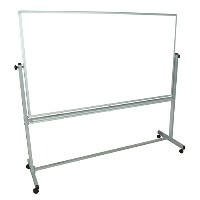 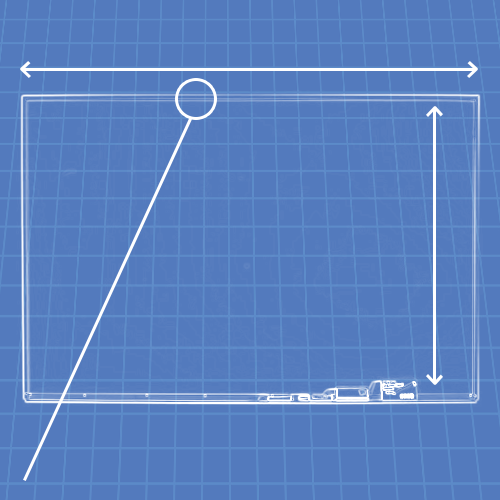 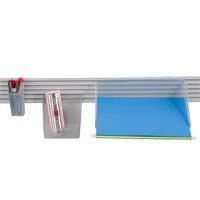 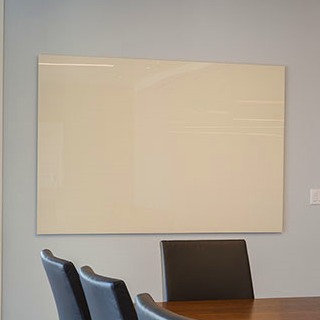 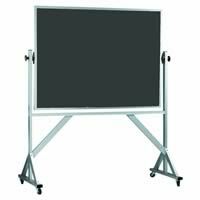 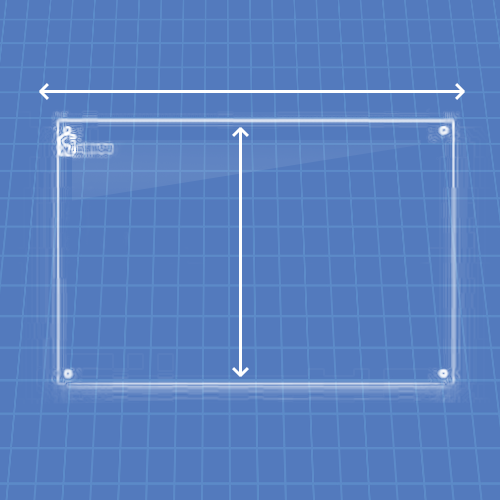 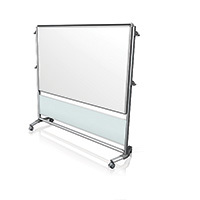 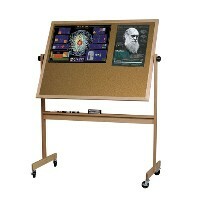 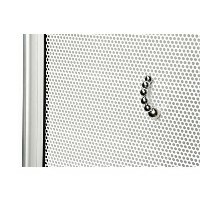 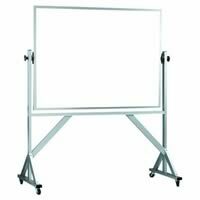 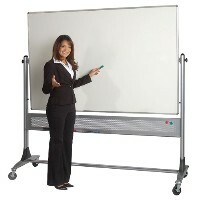 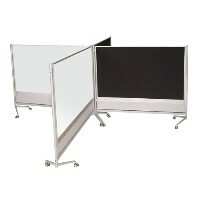 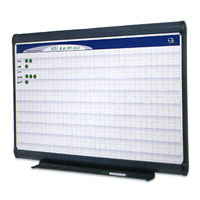 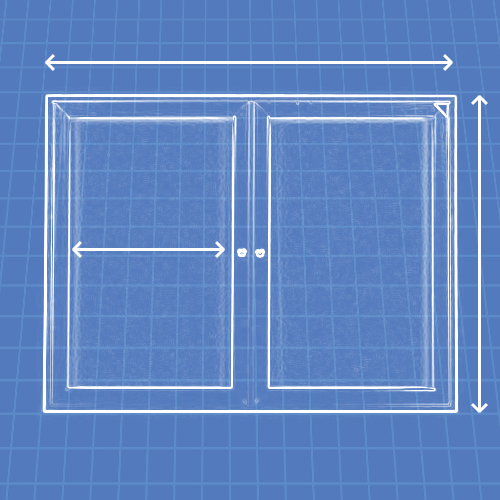 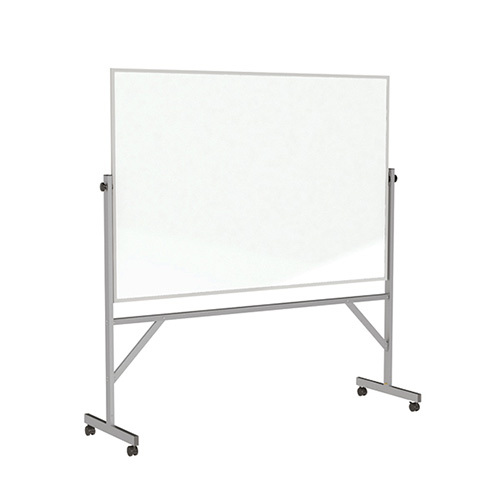 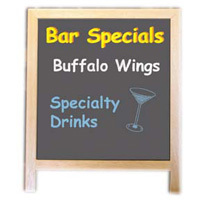 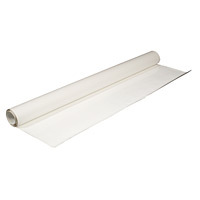 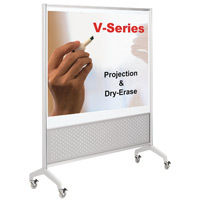 These are listed at 78.25"H x 20"D x 77"L.
"Double Sided Magnetic Reversible Whiteboard"